There are definitely some perks and benefits to being an owner operator. You could more money in less time OTR. But you won't enjoy them unless you know what you're getting into and how to play the game. Will you just lease to a carrier or get your own authority? You'll discover the difference, plus other terminology and various scenarios to consider for becoming an owner operator, lease operator, independent contractor or for buying a truck. The term Owner Operator is used loosely. You'll see what I mean. I explain these things in more detail later. If they mean nothing to you read this entire page. Need a Good Driver ? The asterisks means there are a lot of variances depending on how you choose to operate. If you are leasing on to a company some let you choose from a load board. Some offer you 3 loads and you choose 1. Then at some companies you are expected to take the load they give you. As far as working when you want to again it depends on the policy of the company you choose to lease to or how hard you need to run to handle fixed expenses like the truck payment and insurance, etc. Some have to run 3 weeks to cover those costs some can run 1.
Who can ride on the truck with you again depends on which route you take to become an owner operator and what outfit you partner with. With your own authority all of these are your choices. You're the company. If you're lease on to a company, it's their authority and their rules. Becoming an owner operator is not all glory. There are things that you should consider before becoming an independent contractor. It takes a higher level of responsibility, attention to detail and good business aptitude. Many people that fail as an O/O, do so either because they are leased on to or do business with poor quality companies, lack vision, or don't see their operation as a legitimate business. Trucking as an Owner Operator is a real business. Also, becoming an owner operator doesn't mean all of a sudden it's your world, you call all the shots and no one else matters. You still need to have a positive attitude and realize that everyone is part of a team to get the job done if you want to make money. If customers can't get their freight on time and experience good services, they will choose another carrier. 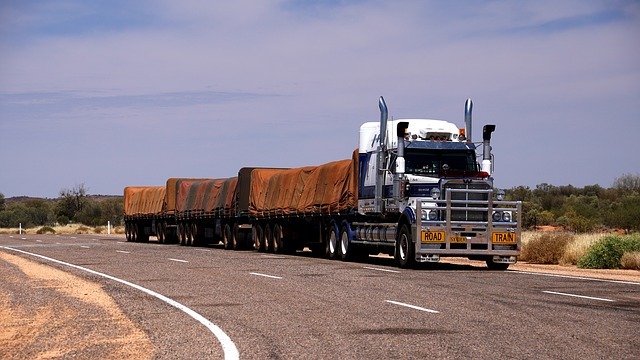 Some drivers contribute to the carriers poor reputation then complain about low freight pay and slow freight. Think about it. It is a shock to some new O/O's that you still are expected to do some things that you might not want to do or go some places that you don't want to go at some companies that you lease on to. Something else you might not want to hear.... Many without their own authority, don't make much more money than an experienced company drivers at the end of the year after expenses and taxes are paid. Their greatest benefit is more freedom, not necessarily more money (as you will learn later) unless they are business savvy, conservative and forward thinking.... AND working with the right trucking companies, brokers, load boards etc. Having a tax specialist who is familiar with trucking and life as a trucker and a trucking company business is also highly advised for best results. My advice is drive 1 year company driver first and learn all that you can. Listen to the words of successful O/Os. This is Casey an owner operator out of North Carolina. He hauls cars and will give more advice about car hauling on the car hauling page but here he will tell you about the mindset an owner operator should have to help him be successful in the trucking industry. Own or buying your truck, operating not with your own authority, instead running under the authority of another trucking company. (Called leased on to that company) That is what the page you are reading now is about. Getting your own authority is more pay and more responsibility . With that route...YOU ARE The Motor Carrier and handle or delegate administrative and regulatory aspects of the business. Follow the link above to find out more. 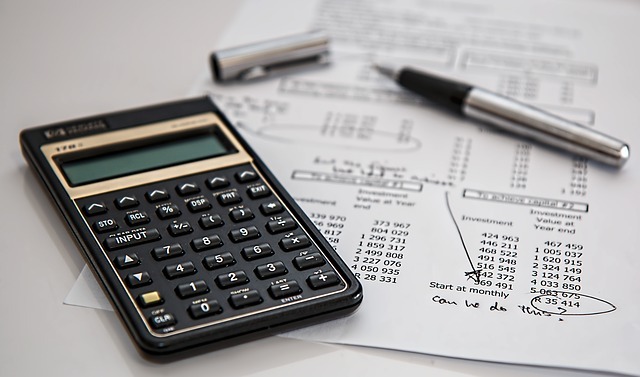 Owner Operators leasing their truck on to a carrier are responsible for paying most of the expenses associated with moving that freight (there are a few companies who pay tolls or other expenses). Weight ticket, tolls, permits, violation tickets for inspections, fuel, maintenance, repairs, parking, lumpers, etc. Are you responsible enough to make this O/O venture work? Only you know. Leasing your truck on to a carrier is has nothing to do with leasing a truck. It just means instead of getting your own authority you are running your truck under another motor carriers authority and usually getting your loads from them as well. They also tend to do most of the paperwork for you including paying you. That's why they take from 10 to 30 percent of what the load pays and pay you the rest. Plus you don't have to wait on your money from the customer. You are buying your truck not leasing it from that carrier, in this scenario I am covering. Buying your truck is the best deal if you can do it. The cheapest way to buy your truck is to get a loan from the credit union or bank and get the truck from a dealership or individual who is selling. Some large trucking companies like Swift and Schneider sells trucks too. 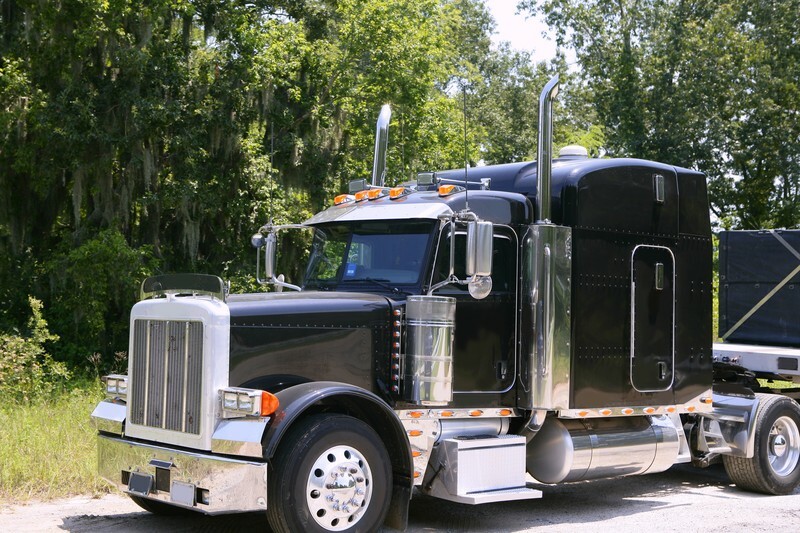 Some trucking companies will offer you the option to buy or lease the truck from them. Often they will have a subsidiary company that handles that part of their trucking business to do the loan or lease agreement. This might be a good option for people with bad credit and limited funds who have great work ethic, discipline to finish the terms and a game plan for advancing their career. Again this section is not about leasing from a company, it's about buying your truck. For leasing a truck go here. If you have poor money management skills, you should not become an owner operator yet. Save some money, fix your credit, work on your discipline and then go O/O. Do your year as company driver and learn the game. If you have good credit, and the skills mentioned above, compare prices of getting your truck from the dealership against the trucking company. You might find your monthly truck notes are cut in half or better. Should You Become an Owner Operator? Have minimum $5,000 on hand preferably $10,000 for repairs or guaranteed line of credit for it. Hard to say, you must ask yourself that, based on what you have learned and what you already know and the type of person you are. I became an O/O after about 7 months of driving. I learned many things the hard way. Plus, I was blessed to buy a good truck and lease to a good company. I have met drivers who started off driving as an owner operators. Most of them were retired from somewhere else and had money saved for emergencies. I don't recommend anyone to become an owner operator until you drive a year or so. The best way to determine depends on how well you handle business and how fast you learn about things you are involved in. (In this case the trucking industry. )You need to know about the ins and outs of the industry to take on the responsibility of an owner operator. I will give you an example of what i mean. After being a driver a while you learn that it's hard to get a load out of some parts of Florida a certain time of year, same thing for California. You learn that freight coming out of those places are going to be real cheap in the slow season. If you jump in this off the street you wouldn't know those types of things, which mean you would loose money going to those places at the wrong time of year because your expenses stay the same and your profit is shot either in low freight rate or delay time waiting on a load. You could have driven 3 trips from North Carolina to Chicago in less time and ended up with more money. You don't jump in the game with that knowledge. You learn that with experience. Talk to a lot of owner operators before becoming an owner operator. If possible talk to one at the company you are looking at leasing on to if that's how you're going to do it. Remember as an Owner Operator you'll be paying these high fuel prices and all other expenses associated with driving. The expenses have gone up but the rates haven't! O/Os do best when they find a niche or companies to do business with directly. (cut out brokers) Especially if you are wanting to run on your own authority. Or hauling some specialized freight like household, heavy hauling, or shrubbery, etc. I've heard hauling bread dough pays pretty good. Even being leased on to a specialized hauler can bring in a decent wage I would think, lets wait on some driver feed back on that. However, if I can make a killing hauling general freight, it makes sense that doing specialized is a lot more especially if it pays percentage. In any case, hauling regular freight often don't make any more than an experienced company driver at the end of the year. Unless you have all of the pieces of the puzzle in place. Great company, great equipment, rates are up, weather cooperates or you can choose where and when you run. People always wants to know how much does an owner operator make. There are many variables to how much an owner operator makes. It mostly depends on the type of truck driving jobs he's chosen (what he's hauling) and how he's paid. They may get paid percentage of the freight charge or paid by the mile. Just like a company drivers, the more specialize the freight the more is paid. Typically a owner operator hauling regular freight over the road can expect to gross $100,000 - $150,000. At the end of the year after taxes and all the expenses come out(depending on how his operation is set up)the driver ends up with anywhere from $35,000 - $100,000 or more than $250,000 hauling specialized freight. Larry is an O/O with Fedex. He is always looking for top notch team drivers with a clean record to run East to West and back. He is based out of Dallas. You must have a clean driving and criminal record to drive for this owner operator. I talked to Larry for long enough to feel confident that he is someone you probably would want to drive for. Need otr driver asap to pull dry van out of Ga.
New owner operator in desperate for advice! Owner Operators With Own Authority Power Only 5th Wheels Needed!!! What happens if you get a criminal record that is non work related? Displaced, legally disabled 48yr Engineer. Need advice from experienced independent drivers. Why Is It So Hard To Find A Good Truck Driver? What do I need to lease onto a small company? Independent contractors also known as owner operators are being utilized more and more by trucking companies. This is not the route for every driver. For people who are looking to get into trucking today there are many options.